Amazing the things you find on Facebook. I saw my friend, the jazz chanteuse Tara O’Grady, was raving about the Henry Girls in one of her posts. I dug a little further and came up with my new favorite band! Their most recent album, December Moon, is a rewarding trail through the Appalachian Trail by way of Donegal. Karen, Lorna and Joleen Henry make up the band and they have three more sisters called Clare, Maureen and Anita. According to Lorna, they have been playing music together since we were children. “There was always a sing-song going on with a few tunes. It was very much part of family life,” Lorna says. You can tell how close the family is based on their pitch-perfect harmonies. They are part country, part folk and mostly sass. If the Corrs and Dolly Parton had a baby, it might sound like the Henry Girls. “Our musical influences are very similar -- traditional Irish music being a huge part of our musical landscape,” says Lorna. Their cover of Costello’s “Watching the Detectives” is pure acoustic reggae fun! Their breakout hit, a cover of the blues staple “Ol’ Cook Pot” made famous recently by the Duhks, tells the story of a widow selling the cookware to feed her large family. Mandolin, fiddles, and harp make the recipe for a southern fried coating to this homespun story about not having enough to eat. They got funding from local businesses and the rural development board to make their first CD and haven’t stopped since. 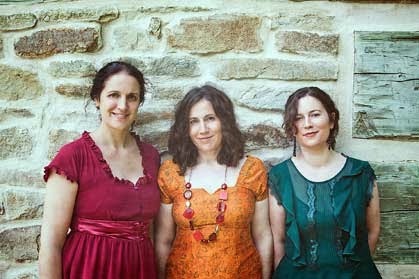 “We consider ourselves a folk band,” Lorna says when asked to describe her sisters’ sound. The band is setting their sites for a return to the U.S. in March. For more information or to check out their sound, log onto www.thehenrygirls.com.